Ever wished you could rule the world? Well, while we can’t help you with that in real life you could try playing World on Fire. It’s basically taking over the world gamified. Much like in Clash of Clans, your goal is to build up your own military base. You play as a commander in a wartorn world destroyed by rebels, and your goal is to try and fight them off. So you’ll build stuff, head out on scavenging missions for resources, recruit troops, and research new technology to increase your firepower. You’ll also manage your base, setting up defences, defending it from rebels, and greeting visitors. As your base grows, more and more people will want to visit it. This includes merchants, troops, and researchers who can all offer a means of support. However, other players might start to get jealous the more you progress and go out of their way to attack you. So it’s worth forging alliances wherever you can. This allows you to share resources with your fellow players and you’ll receive support whenever someone attacks you. It’s dangerous to go alone, after all. If defending isn’t your style, you can go on the offensive and try and crush the opposition before they even try to attack. Defeat them and you can take their territory, kickstarting your own glorious empire. Sooner or later you’ll rule this fictional world and all of your dreams will come true. The dev team were the ones behind War and Order – a title downloaded over ten million times and rated 4.5 stars by over 270K users – so you know you’re in safe hands too. 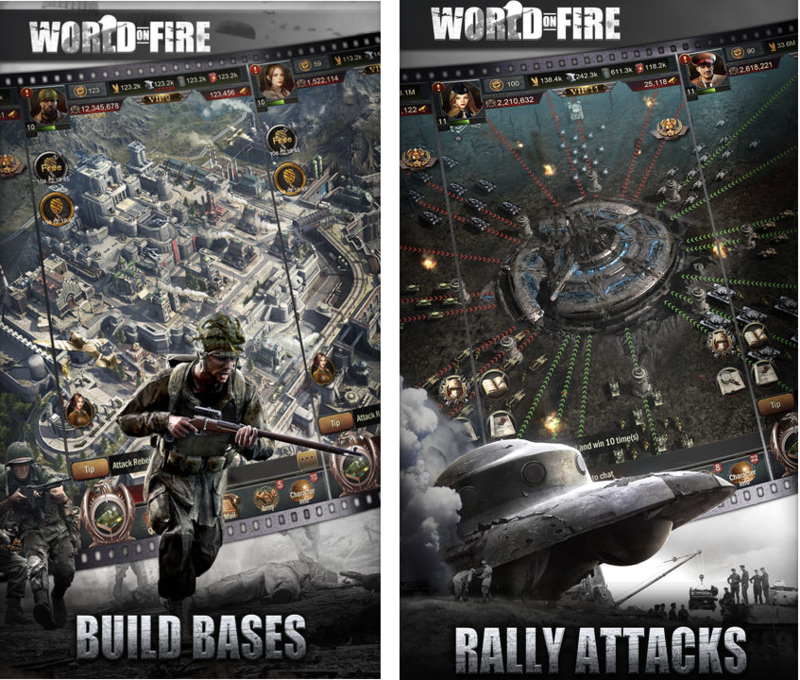 Head on over to Google Play and enlist into the World on Fire right now.